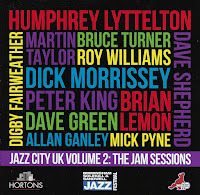 1: Jazz City UK Vol. 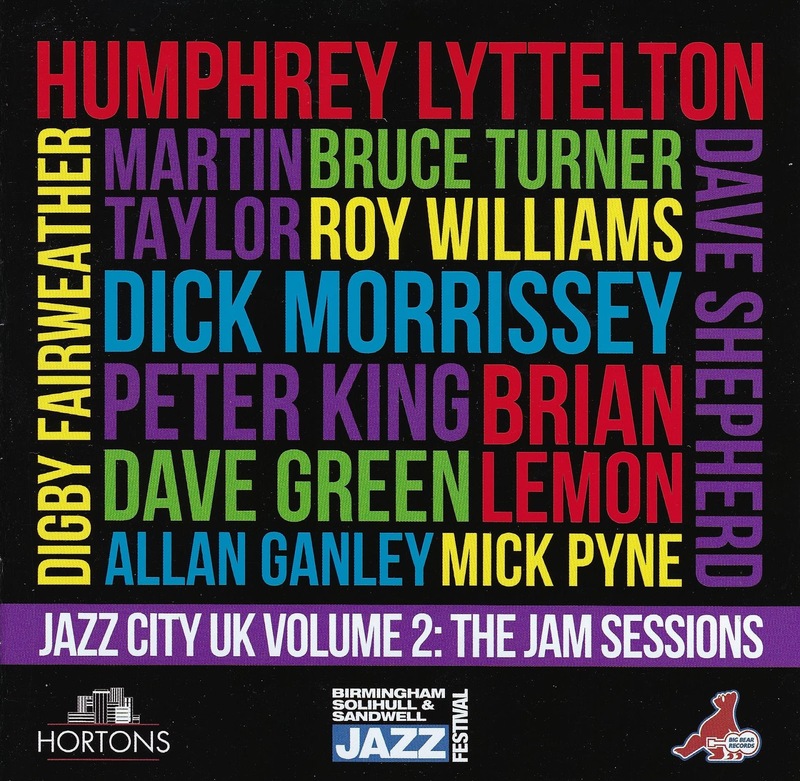 2 - The Jam Sessions. 2: Christopher Hollyday - Telepathy. 3: Mike Durham's Classic Jazz Party - Pleasure Mad. 4=Peter Lin - With Respect. 4=Helen Kay - Moon Palace. As always, these are my personal preferences so, let's have yours. PS: Not forgetting my Book of the Month: Maxine Gordon - Sophisticated Giant. 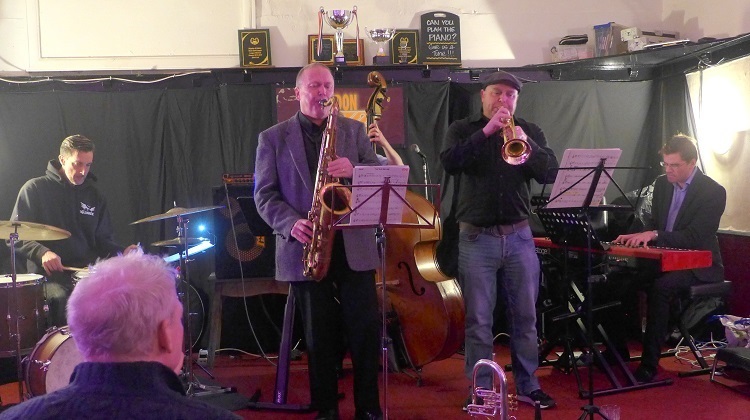 Gigs of the month: Classic Jazz Party & Mick Shoulder Quintet. I may be prejudiced (!) 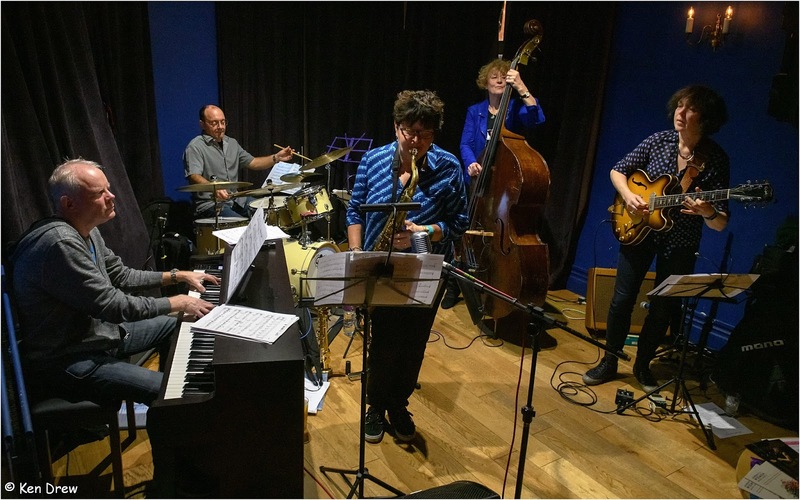 - but I'd also say gig of the month, Classic Jazz Party (a full weekend of hot jazz treats), and Mick Shoulder Quintet (with Lewis Watson) at Roly's Black Bull venue following closely! Another quiet'n. Perhaps I've retired and Mrs T just hasn't told me yet. Stanley Clarke @ Royal Festival Hall, South Bank Centre, London, 20th. RNCM plays Zappa @ Union, Metropolitan University, Manchester, 30th. Soft Machine @ Sage Two, 6th. Fatoumate Diawara @ Sage Two, 19th. A couple of good CDs: Square One and Sarathy Korwar (a rare 5-star review from Jazzwise). CD Review: Helena Kay's KIM Trio - Moon Palace. Book Review: Maxine Gordon - Sophisticated Giant. Preview: ARQ @ the Globe Jazz Bar - November 22. CD Review: Greg Yasinitsky - Yazz Band. New Jazz Voices @ Newcastle University - Nov 15. CD Review: Kandace Springs - Indigo.